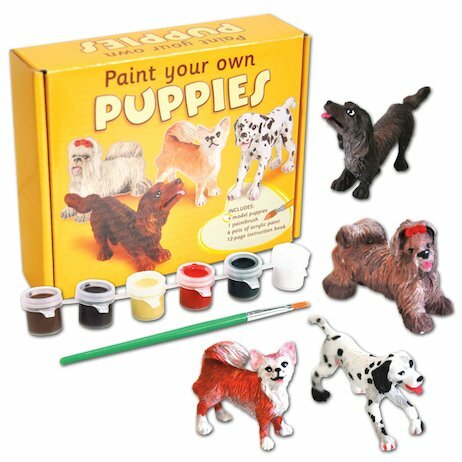 Four perky pups to paint and play games with. It’s time to stage a cuteness competition! There’s a pretty Chihuahua, a dinky terrier, a spotty Dalmation and an adorable sausage dog with big brown eyes. Take them for walkies or throw them a bone. Line them up in a pup parade! Kit contains four plastic puppies to paint, an instruction booklet, six paints and a brush.